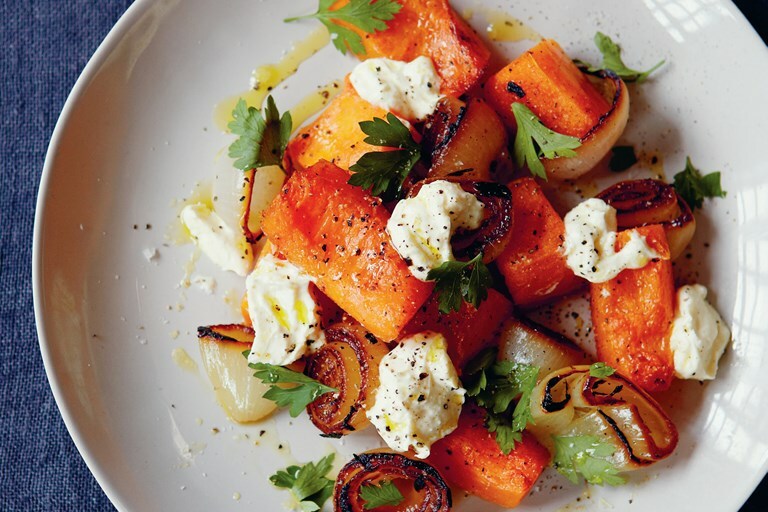 This autumnal roast pumpkin salad recipe from MasterChef presenter John Torode comprises meltingly soft pumpkin, curd cheese and roasted onions. Sweet, bitter and a little salty, that’s what I think makes this salad a bit different. It may sound autumnal but it can be served warm or cold all year round with the squashes that are in season. Make it posh or not – serve it up in a big bowl or be creative and make a pretty plate of it. Recipe taken from John's book, My Kind of Food: Recipes I Love to Cook at Home(published by Headline, September 2015).